Christmas is fast approaching - note our send by dates to ensure your parcels arrive in time! Sending packages this Christmas? Make sure you book them in on time to ensure they're picked up for delivery before Christmas. Please take note of the cut off times below to avoid disappointment! We recommend you book no later than the morning of 18th December for Metro deliveries, 17th for Regional and 15th for Remote. 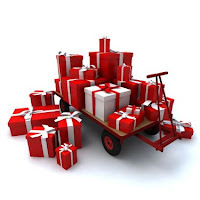 Christmas is the busiest time of year for couriers! If you're an online retailer, exceed your customers' expectations by promptly delivering their purchases. Research has shown that one of the key ways to satisfy your online customers is through timely delivery - make sure your customers get their parcels in time this Christmas! For deliveries before Christmas, please refer to the listed delivery times in the Temando Booking Engine with the delivery day being Wednesday 19 December.